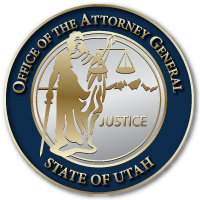 The Utah Division of Consumer Protection has received a number of inquiries about a new government imposter phone scam. The call is a prerecorded message from an individual with a thick accent named “STEVE MARTIN” purporting to be with the “US TREASURY” advising consumers that they must call back to respond to pending legal action being brought against them by the Treasury Department. This is one of many phone scams, similar to those from the IRS, jury duty, grandparent scam and others from not too long ago. This scam call swept through Wisconsin in November 2014, Ohio, Delaware and New Jersey in October 2014 and now Utah. Hang up immediately and do not call back the number noted in the message. Do not trust that the information on your call ID display is legitimate. Never give out personal or banking information on an unsolicited call. If you still feel unsure about the call, look up the official number of the agency the caller is pretending to represent so you can get the real story.